We Should Start Our Own Cirque du Vol Show To Raise Money! Some volunteers are their own whirling mini brain trust. They see a challenge or an area that needs improvement and their minds go into overdrive. Funny thing is, most of the time, they’re right and you can see their point. Present the new idea to the appropriate person/dept and become a stressed middle man/woman. Tell the volunteer that while the idea is valid, this is not a good time. Refer the volunteer to the department in question and hope that they do not brush him/her off. Fib and say you’ll look into it and string the volunteer along for as long as you can. Quit-which is cowardly, but feels like the easiest thing to do. 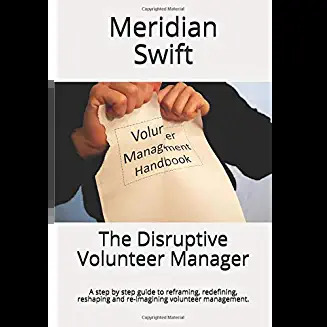 The question then becomes: Are volunteers just there to do what is asked or do volunteers bring vast amounts of creativity, knowledge, energy and experience to our organizational table? We, VM’s know the answer. So, what do we do? Besides quit. One way to handle a volunteer improvement idea (vii)is to start a volunteer think tank. Gather your most creative volunteers and ask them to sort through each vii. Let them decide which ones are worth pursuing. And here’s the thing about vii’s. They take an enormous amount of work to implement. No wonder marketing doesn’t want to hear how a cirque show will bring in loads of publicity. They’re busy with 50 other organizational ideas that they need to implement. And while vii’s are lovely concepts, it is the results that matter. A think tank can pilot a program on a small-scale and present the results. Ask them to work on one project at a time to keep from overwhelming the system. Your volunteer think tank wants a cirque? Pare that big vii down to a manageable beginning. Maybe they can hire a juggling clown for a marketing event so the kids in attendance will be entertained. See how that goes. Tell the think tank to: Start small. Get results. Gather stats. Take pictures. Tell the story. Compile feedback. Then do it all again. We all have great ideas. But, ideas without the willingness to do the hard work are worthless. Instead of hiding under your desk, throwing your volunteers to chance, and passing ideas on to other swamped departments, create a volunteer think tank and put those creative ideas to this test: Are we, the volunteers who believe in this great idea, willing to pilot a smaller project to prove that it is viable? And are we willing to put in the hard work in order to show results? If the answer is yes, then who knows? The volunteers may start with a juggling clown. Then they’ll add acrobats. Then a full-blown cirque du volunteer may result. And you may just keep your sanity. absolutely love this idea 🙂 Do any of our followers do this already? If you have stories I’d love to share them to encourage other orgs to try it. This is such great advice, and advice that most non-profit employees (paid and unpaid alike) should heed. 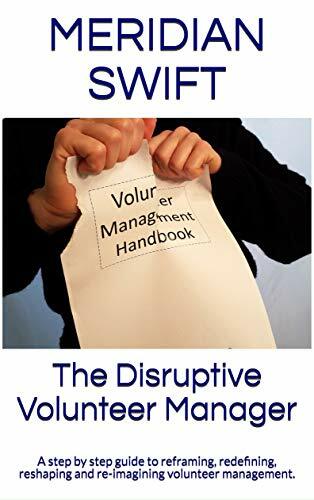 There are two big pieces of this that folks need to take note of; how often this happens at non-profits between volunteers and non-profit staff, and how great ideas are only ideas unless you can execute on them. It’s about harnessing the enthusiasm and energy of those volunteers, BUT also putting the ownness on them to take action. As you state, great ideas are worthless unless you can dedicate the time to execute on them. Often times, non-profit organizations have a surplus of great ideas, BUT lack the capacity to execute. So put the responsibility on the person floating the great idea. I always look for equal skin in the game. When I have an enthusiastic volunteer with another great idea, I say “this is a fantastic idea. Would you be willing to create a pilot program or conduct the outreach for us?” You’d be surprised on how that really makes people think twice about offering up an idea. Often times people walk their great idea back, but sometimes they’re willing. Personally, I don’t give people great ideas that I won’t personally invest my own time into making a reality, the unfortunate part of this is that not everybody thinks that way. Like you mention, put the ownness back on the person who’s got the great idea, maybe something great comes of it. Anyways, I’m preaching to the choir on this. This is fantastic advice for organizations all over though. Thanks Jerome for weighing in and for sharing your excellent advice. I love your question to the volunteer: ” Would you be willing to create a pilot program or conduct the outreach for us?” With this question, you acknowledge the good idea and indicate a willingness to proceed while creating volunteer ownership.Love it.